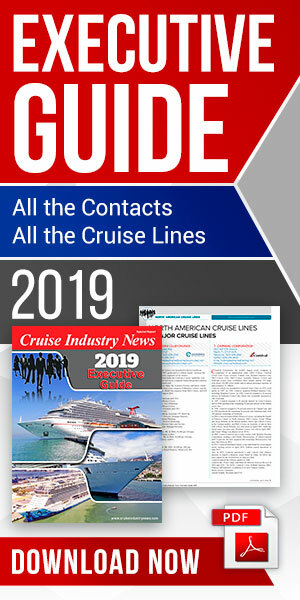 MedCruise has reported 27.4 million cruise passenger visits in its member ports in 2015, a 6.2 percent increases from 25.8 million visits in 2014. Ship calls were reported to be 13,194 last year, compared to 13,813 the previous year. The increase in passenger visits was driven by larger ships. 2015 was the first year the average number of passengers per cruise call was more than 2,000. Barcelona posted the highest number of passengers with 2.5 million, followed by Civitavecchia with 2.3 million, the Balearic Islands with 2.0 million and Venice with 1.6 million. In terms of homeporting, Venice had the most passengers, followed by Barcelona, Civitavecchia and Savona. Barcelona posted the most transit passengers, followed by Civitavecchia and Barcelona. The overall traffic was concentrated with 9.8 million passengers in only five ports, 14.9 million in the top 10 ports, and 21.4 million in the top 20 ports. MedCruise’s 70 port members represent approximately 100 ports in the region. Also in 2015, approximately 19.7 million of the passenger visits took place in the Western Mediterranean, 4.5 million in the Adriatic, 3.0 million in the Eastern Mediterranean, and only 69,000 in the Black Sea. Italy, Spain, France and Greece had nearly 80 percent of the traffic. While cruising is year-round in the Mediterranean, most traffic is recorded from May through October, with October being the single busiest month.